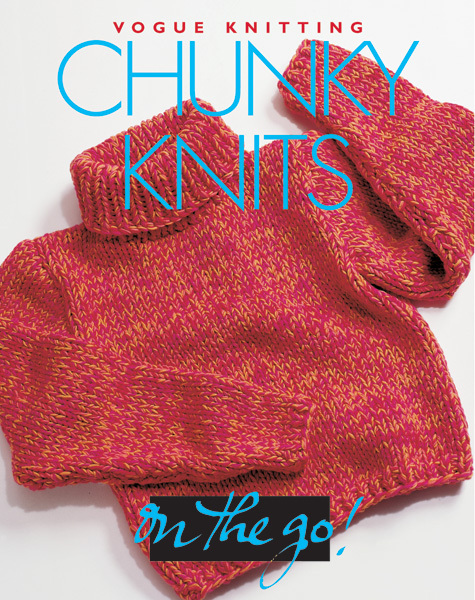 Designed to be completed in a single weekend, these stylish patterns featuring chunky yarn are perfect for anyone knitting on the go, particularly new knitters working on their first full-sized projects. The speed at which the garments in On the Go! Chunky Knits can be made is a boon to anyone whose time for creativity is limited by the demands of work, home or school. Some of the patterns featured include sweaters, tops and pullovers, as well as a stylish hat and bag. As with all the books in the popular "On the Go!" series, clear step-by-step instructions and full-color photos of the finished garments are included, along with a helpful list of yarn resources.